Water is closely related to most elements of the environment, as it plays a fundamental role in the climate of an area, is an integral part of the soil and vegetation and conditions the existence of life. On the other hand, water is also a main element for the mobilization and transport of polluting substances, whether natural or anthropogenic, and constitutes a preferred way of exposing them to ecosystems and mankind. All this makes the study of water resources of vital importance for the development of a wide spectrum of activities and sectors such as land management, industry, mining, construction or the environment. 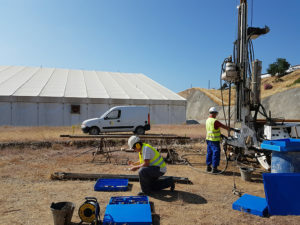 In this sense, our technical team has a long and proven experience in the study of surface and groundwater, providing consultancy and characterization services to public and private organizations in the field of mining, engineering, construction and environment. Drilling campaigns and geophysical samples. Design and construction of piezometers and capture. Management of concessions and protection radios. Studies of hydraulic characterization of low, medium and high permeability media. Environmental digitization (design and development of automated control networks). Environmental Hydrogeology (Strategic Environmental Assessment -EEA-, Environmental Impact Assessment -EIA-, contaminated soils, aquifer vulnerability study, etc.). 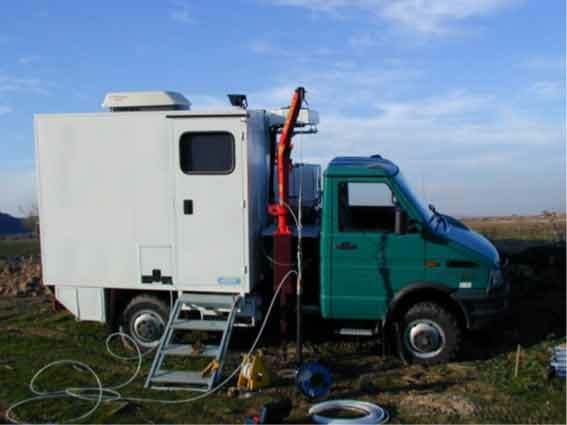 Hydraulic tests and sampling of water samples are fundamental tools in hydrogeological research. Increasingly, the market demands greater accuracy in hydrogeological and hydrogeochemical models. That is why it requires the acquisition of a large number of data, with greater accuracy, certainty and reliability. This requires the use of more and more specific and sophisticated equipment (self-regulating extraction / injection systems, shutters, digital flowmeters, pressure transducers, multi-parameter continuous measurement probes, automatic recorders and samplers, etc.). In this sense, the Mobile Hydrogeology Characterization Unit – designed and developed for use by technicians and professionals with more than 10 years of experience in field hydrogeology work – is designed for highly specialized hydraulic witnessing (extraction tests / Injection, spoon or slug and pulse) and hydrogeochemical sampling in probes located in areas of difficult access (light vehicle of great mobility with traction to the 4 wheels), with the objective of acquiring data of precise and reliable form, minimizing the time Necessary for the conduct of tests in soundings. 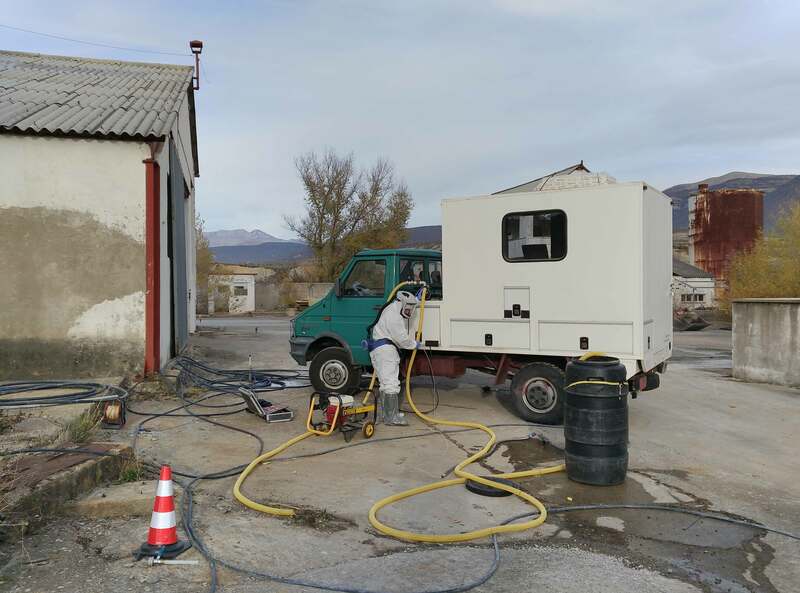 In addition, the equipment attached to the Unit allows hydraulic witnessing and sampling of water between shutters in probes up to 45° inclination and up to 500 m depth, continuous measurement of basic physical-chemical parameters of water and installation Of temporary or permanent special devices for the piezometric and hydrochemical control of aquifers.